New Year, New You, New Planet? In 2019 millions of us will make resolutions in an effort to transform over the coming year into better versions of ourselves. But how many of us will resolve to transform our planet? 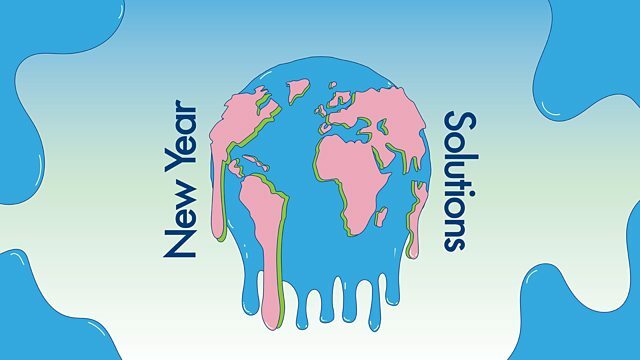 The Carbon Literacy Project team have been listening to Jo Fidgen’s radio show, New Year Solutions, broadcast on BBC Radio 4. “As global warming threatens the future of our society, Jo Fidgen tackles the ways in which ordinary people can make a difference”. Jo tackles a different solution each episode from flights to meat eating, de-cluttering to water – with less of the doom and gloom so often splattered across climate change media. At the end of 14 minutes of facts, anecdotes, interviews and ideas, Jo leaves you feeling confident that us piddly individuals can make easy and practical changes to the way we live. We can create a new normal and a better place for us (and the rest of the 8.7 million species on Earth) to live and grow in. We’ll be writing a little summary of what we’ve learned from Jo and the New Year (re)Solutions we’ll be tackling from each episode. Rest assured, they are far less gruelling than 5 am park-runs and miscellaneous-green-vegetable smoothies. You can listen to New Year Solutions on the BBC Sounds app or follow this link.